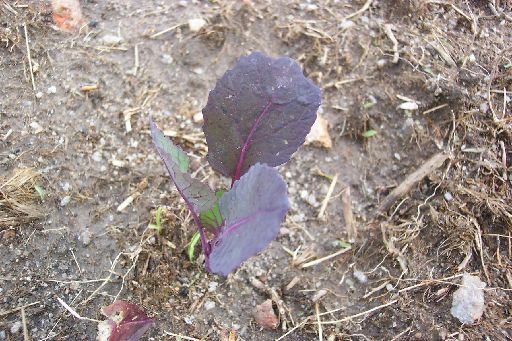 This normal-looking plant will later bear the unusual-looking kohlrabi. The variety is "Dyna". Each day a different photograph taken on or around our farm is featured here. The image size is rather small at first to conserve bandwidth, but you can resize it much larger. All of the images displayed here are licensed under a Creative Commons License. Type in what you want to search for. Use single words for a more general search. The php code that drives this site was inspired by PHPix 2.0.2, and written by Eric Wagoner. If you like what you see here, you can recommend this site or find many others like it on Photoblogs.org.